With Dan Donovan (R) winning the special congressional election in New York’s 11th District earlier this week, and with the special election in Mississippi’s 1st CD coming up on Tuesday, it seemed clear that we needed a “special” trivia question this week. And that question is: Of all the members of the House who first came to Congress via special election, who has been there the longest? Last week’s question was: Who was the first female presidential nominee to appear on the ballot in all 50 states? 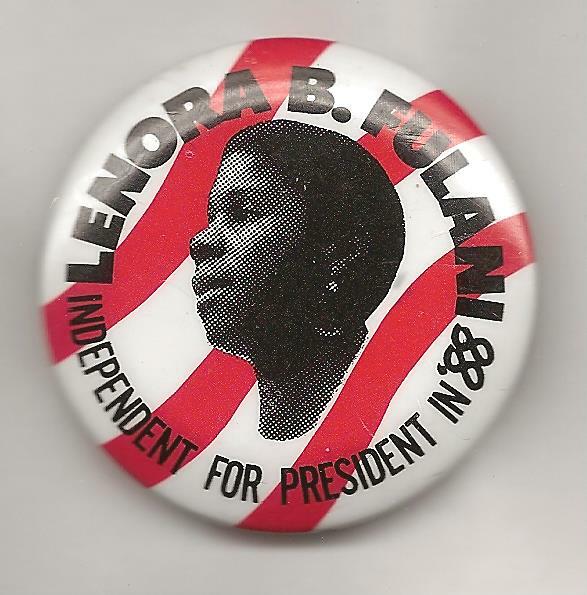 The answer is Lenora Fulani of the New Alliance Party in 1988. She received just over 250,000 votes nationwide that year, or zero point two percent of the total. And the randomly-selected winner is Brad Ham of Philadelphia, Pa. Brad wins the coveted Political Junkie button!